Best of Hyde209 Vol 1. / Best of Hyde209 Vol 1. / Best of Hyde209 Vol 1. 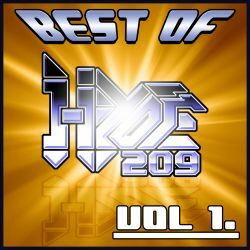 Best of Hyde209 Vol 1. I've been asked to put up download links on quite a few of my remixes and so I decided to make a best of album instead. All tracks are remixes that I did in 2010. Hyde209 notes: I've wanted to remix this song for some time now. Simply beacause it's a SEGA classic. Also I wanted to play something joyful for a change. In this remix I used my girlfriend's grandpa's old accordion. Hyde209 notes: I wanted to make a different remix so I made this slightly disco like remix. The game is Blaster Master on the NES and it's a great game. Hyde209 notes: This is my remix of level 5 from Blue Shadow also known as Shadow of the Ninja. This is one of my favorite NES games. A game packed with Ninjas, huge morter spitting tanks and aswome music. Hyde209 notes: Most castlevania games have great music. This game is no exception. I chose to remix this song because is has a really nice piano track. A great piano can make a song so much better. Hyde209 notes: I really like the feeling of oriental music. I came up with the idea to make this remix when I got my hands on a nice Darbuka plug for VST. Some Mr Bungle tracks contributed with inspiration too. Hyde209 notes: This tune was a nice break from everything complicated. Just a clean rock 'n roll remix a la 60s/70s. I love that sound of the Wurlitzer! Hyde209 notes: This is a great NES game with some cool but strange music. Out of the blue came this funky song and I just had to remix it. Hyde209 notes: I'm a huge fan of Matt Furniss and his game music. I tried to stay true to the original with this remix cause the tune is too great to spoil in any way. I worked a litte longer with this remix than I usually do. I just had to make it sound right. Hyde209 notes: I made this remix a few days ago but I haven't benn able to upload it here untill now. Something was tragen with the video uploader, but now I'm back. This is a remix of a true 8-Bit classic. Legend of Zelda. Hyde209 notes: After my Eternal Champions remixes I wanted to make a classic NES remix. This is the fruit of my first NES work. Hyde209 notes: I had a blast playing this game with my brother when I was a kid. The intro theme reminds me of Danzig for some strange reason. Hyde209 notes: I love this old NES game. The music is freak'n great. I wanted to make a heavy rock version with the same driving feeling as the original song. Hyde209 notes: Here is another remix of a tune written by one of my all time favorit composers Matt Furniss. The rhythm was so funky that I had to ad some Wah guitar. Rob Hubbards music in Road Rash is as groovy as ever. I listen to this music so often so I thought I had to pay homage with a remix. This time I had my good friend davadij record a blazing hot guitar solo to spice things up a bit. Hyde209 notes: I've been wanting to make a remix of this song for soo long. Hyde209 notes: This is a remix as requested by cucollins12. Hyde209 notes: This is a remix requested by cucollins12. Besides it's a great game with some nice music. Notes obtained from Hyde209 YouTube channel.